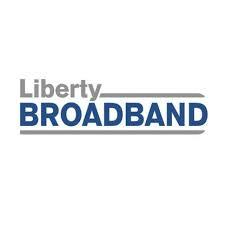 Liberty Broadband Corp Series C (NASDAQ: LBRDK) stock fell 1.2% on November 9th, 2018 (as of 11:45 AM GMT-5 ; Source: Google finance) after the company initiated share repurchase at GCI Liberty and from the period of August 1st to October 31st, the company repurchased over $50 million worth of stock. The company is doing this to take advantage of what the company calls the double-discount on Charter, assuming the full discount that Liberty Broadband and GCI Liberty, and you look through to where Charter is trading, the discount is in the low 20% range. The company continues to execute on their strategy of driving, operating, and cost synergies while expanding and improving coverage in the Alaska region. Notably, during the quarter, they completed the migration to their new billing system. Meanwhile, The integration of the businesses of Charter, Time Warner, and Bright House is quickly moving behind them and they have the ability to grow penetration very cost-efficiently from here. They continue to drive high-speed data at attractive prices with an opportunity I suspect to price as time moves on. At quarter end, GCI Liberty had consolidated cash of $690 million, which includes $42 million of cash at GCI. The value with of public equity securities at GCI Liberty as of today’s close was $6.2 billion, which includes the $1.7 billion interest in Charter, $3.6 billion interest in Liberty Broadband, and around $900 million interest in LendingTree. GCI Liberty has a $1 billion margin loan outstanding against its Liberty Broadband shares. At quarter end, GCI Liberty had a total principal amount of debt of $3.1 billion, which includes the aforementioned margin loan, the Charter exchangeable debentures and $1.6 billion of debt, including capital leases and tower obligations at GCI. GCI’s leverage is defined in its credit agreement as 5.3 times, compared to a maximum allowable leverage of 5.95 times. Moreover, during the quarter, the company has received a letter from the Wireline Competition Bureau of the FCC reducing the rural health care funding by approximately $28 million or 26% for the year ended June 30th, 2018. The company disagreed with this and will pursue all available remedies. If this decision stands, the company may be left with no choice but to narrow the focus in rural areas to meet the maintenance obligations and the obligations of federal programs. The impact to this decision on the financials is that all quarters of the 2017 funding year shown in the press release have been updated to include reductions in revenues, operating income, and adjusted OIBDA of approximately $7 million per quarter.